A British Union recruits for the Israeli Army! A leading Palestinian blog, Bonsoir, has revealed that the Union of Jewish Students (UJS) is calling Jewish British students to voluntarily serve in the Israeli Army. 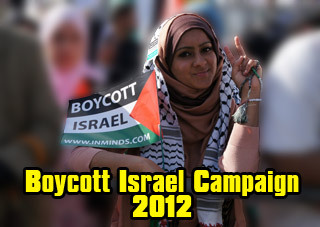 Its no secret that the Union of Jewish Students is a zionist organization doing Israels bidding on British campuses. 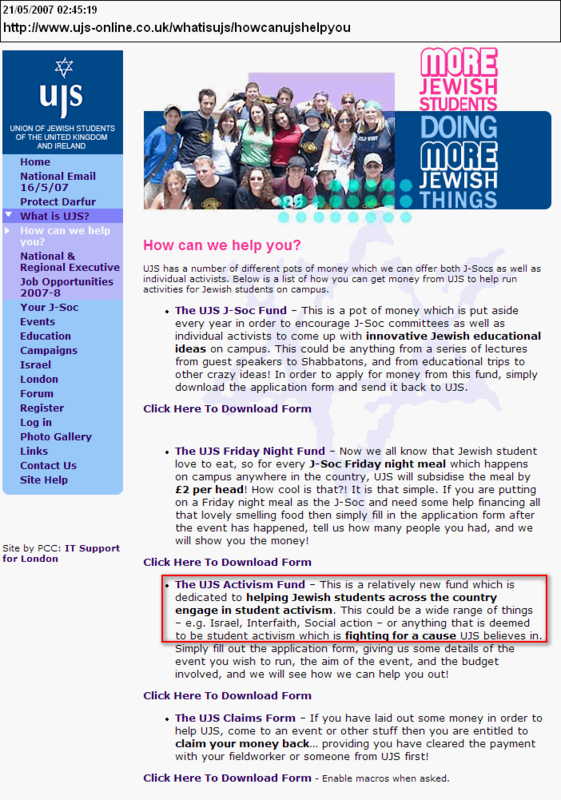 In its Mission Statement, the UJS reveals that one of its core Guiding Principles is : "To promote commitment to and the support of the State of Israel" To this end they have set up a special "UJS Activism Fund" to bankroll Jewish Societies on campuses across the country in setting up programmes to "fight for a cause UJS believes in - eg. Israel". 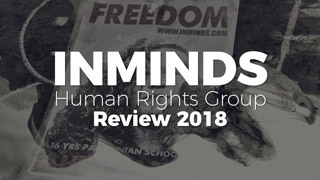 The application form for the funding leaves no doubt what the money is for - it specifically asks applicants: "How will this programme further Israel.. ?". 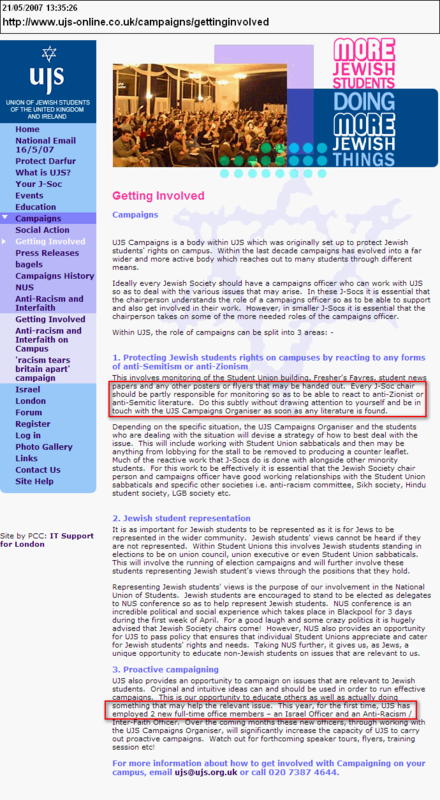 On campuses they have ordered Jewish Societies to spy on other students activity: "subtly without drawing attention.. monitor any anti-Zionist literature" and activities and contact the UJS Campaign Organiser as soon as any anti-Zionism is uncovered. 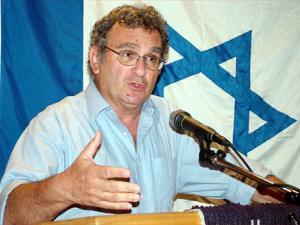 The UJS has employed a full-time Israel Officer for this task of quelling criticism of Israel. The UJS receives its core funding from the United Jewish Israel Appeal(UJIA) which runs many programmes to support Israel. UJIA's honorary president is the disgraced peer, Lord Levy, who was arrested in January 2007 on conspiracy to pervert the course of justice in the "cash for peerages" scandal. The UJIA enjoys charity status in the UK. 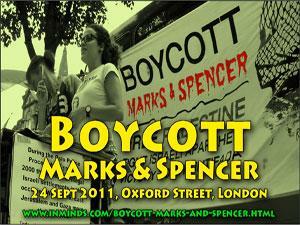 The UJS Hillel is the other main supporter of the UJS. Its chairman is Sir Victor Blank, who for most of the last decade, until May 2006, was the chairman of the Trinity Mirror Group - the UK's largest newspaper publisher with over 500 media brands, currently he is the Chairman of the Board of Lloyds TSB Group. The UJS Hillel enjoys charity donations via the B'nai B'rith Hillel Foundation, a UK registered charity which collects money on UJS Hillel's behalf. 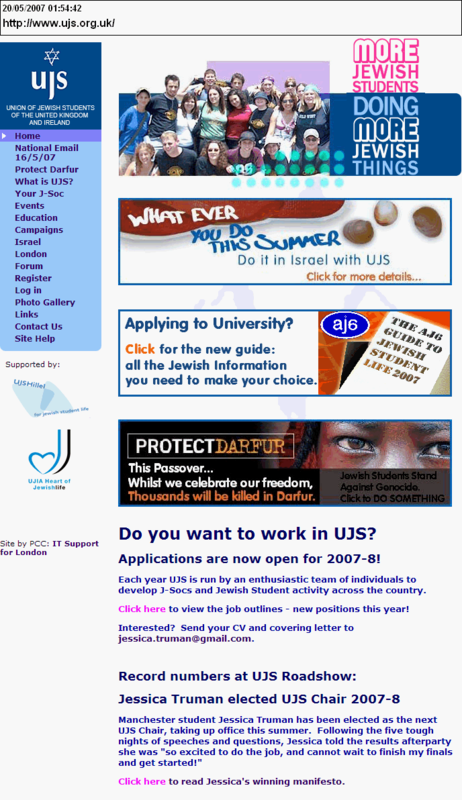 The UJS campaign for this summer's activities, as advertised on its website, was given the motto "Whatever you do this summer, do it in Israel with UJS". 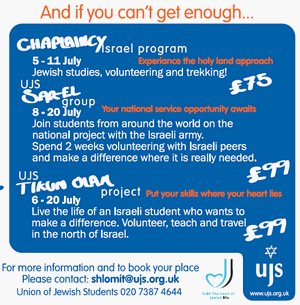 The UJS offered Jewish students, in return for £99, the chance to participate in the Sar-El program. 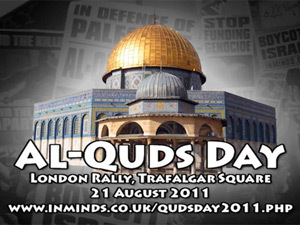 The advert reads "Join students from around the world on a national project with the Israeli army. 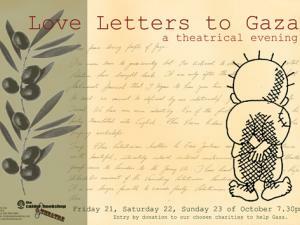 Spend 2 weeks volunteering with Israeli peers and make a difference where it is really needed!". Sar-El is an Israeli Army unit which aims at recruiting volunteers from both Israel and the rest of the world to help the Israeli army. The majority of Sar-El volunteers serve in army bases and are assigned a variety of tasks which according to volunteers include " doing maintenance on tanks and heavy vehicles " and "refurbishing used or damaged military equipment, which saves Israel millions of dollars." 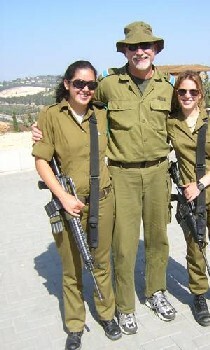 During their "National Service" volunteers wear the Israeli army uniform and work alongside or under the direction of soldiers. 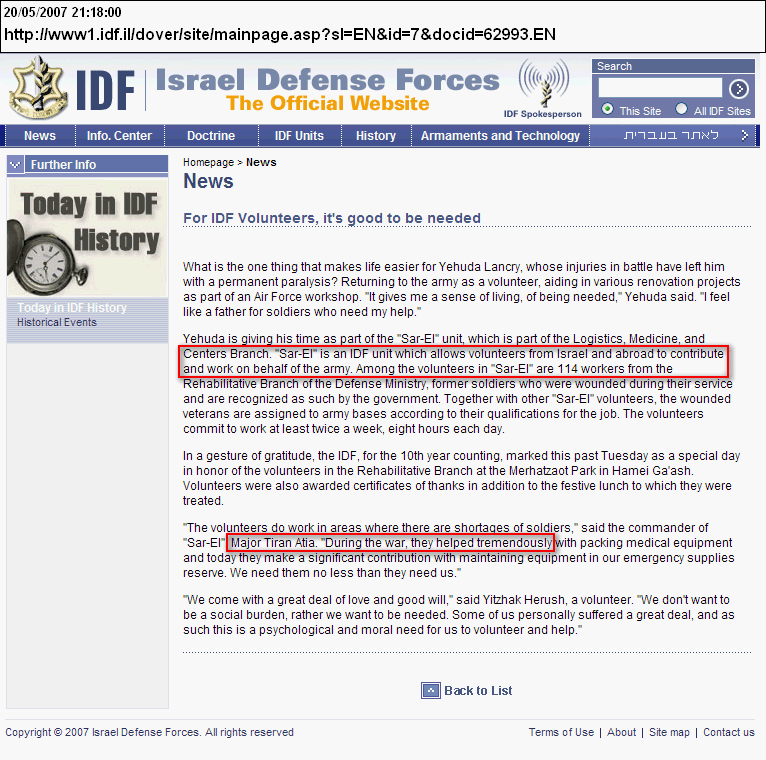 The Israel Defense Forces (IDF) website confirms that "the Sar-El is an IDF unit", adding that "The volunteers are completely integrated into military life. They eat their meals with the other soldiers in the dining room, they work with them and during religious holidays many get invited back to regular soldiers' homes." and quotes commander of Sar-El, Major Tiran Atia : "The volunteers do work in areas where there are shortages of soldiers. During the war, they helped tremendously..". 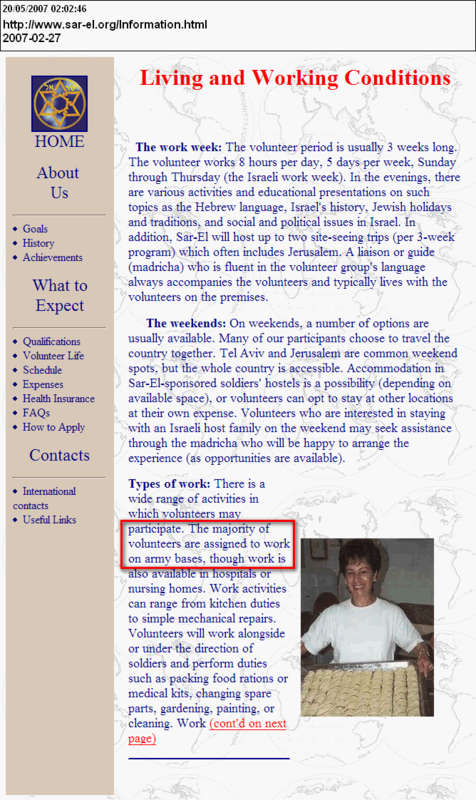 The IDF website states that Sar-El volunteers come from "over 35 different countries" and "operates in 25 different military bases throughout the country. Millions of Shekels are saved every year due to the work that the volunteers do in the various bases.". The website explains that the Sar-El unit of the IDF was formed during the Lebanon war in 1982: "General Aaron Davidi, Commander of the Paratroopers Brigade, sent four messengers to the USA.. with the aim of recruiting well meaning motivated civilians to support the IDF. 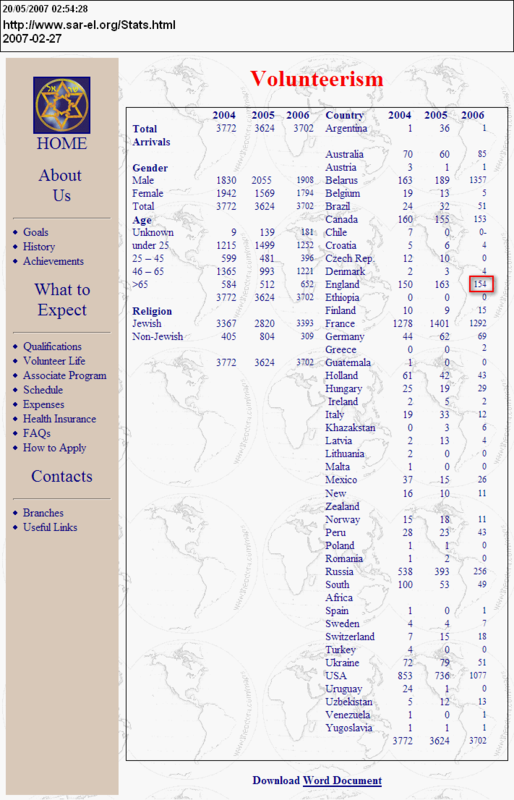 In one month, 650 volunteers were recruited and left for Israel..thus SARE was born." Bonsoir blog also points out that its illegal for British citizens to serve in the Israeli army as Israel is in a state of war with several Arab nations which are at peace with the UK - according to the UK Foreign Enlistment Act 1870 its a crime for a British subject to enlist in the army of a foreign nation that is at war with any country that the UK is at peace with. 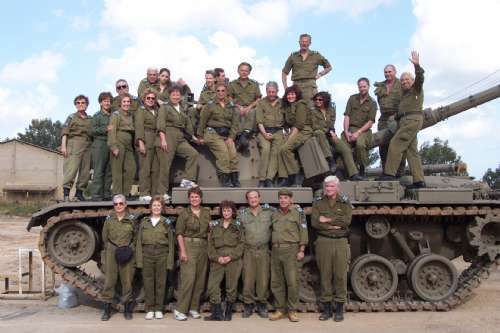 Last year 154 people from Britain joined the Sar-El Israeli Army unit. 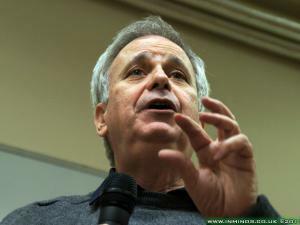 Recently ex-Israeli Jewish academic Ilan Pappe was vilified for accusing Jewish campus groups in the UK of being ""ambassadors of Israel", the reality seems far worse - by openly recruiting for the IDF, the UJS has clearly revealed itself as an agent of a foreign power. As such, british universities and colleges should take a firm stand against it by giving no platform to any campus society that affiliates with UJS. 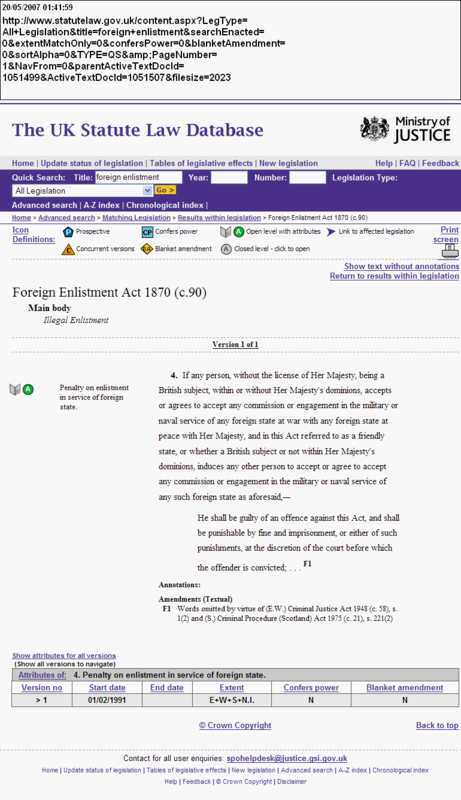 Mr. Tony Lloyd: The Foreign Enlistment Act 1870 remains on the Statute books. 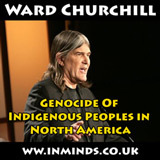 However, no successful prosecutions have ever been brought under this legislation. What is the legal difference between hiring a helicopter for use in a coup against a west African government and sending supplies to the Chechen rebels? If there isn't one, why isn't Mark Thatcher in Belmarsh? In principle, mercenaries are regulated by the 1870 Foreign Enlistment Act. 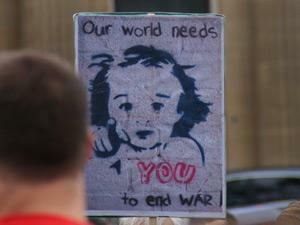 It's an offence to assist the armed forces "of a foreign state at war with any foreign state at peace with Her Majesty". But no one has ever been prosecuted for it, and the act is widely regarded as useless. The government has avoided the need to test it by deciding that some people are terrorists, and therefore contravene a different set of laws, while others are businessmen, and therefore contravene no laws. So while its clearly illegal, it seems a test case needs to be brought forward to test the governments resolve in upholding the law. 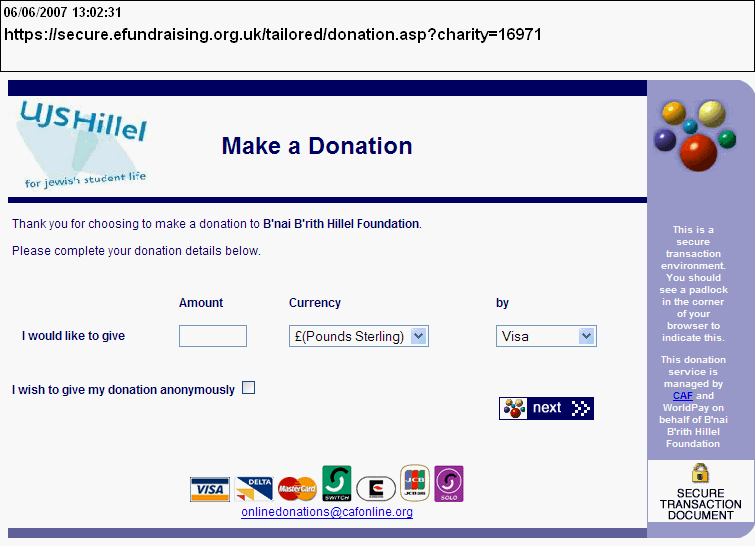 On-line donations for UJS Hillel are collected in the name of the B'nai B'rith Hillel Foundation.